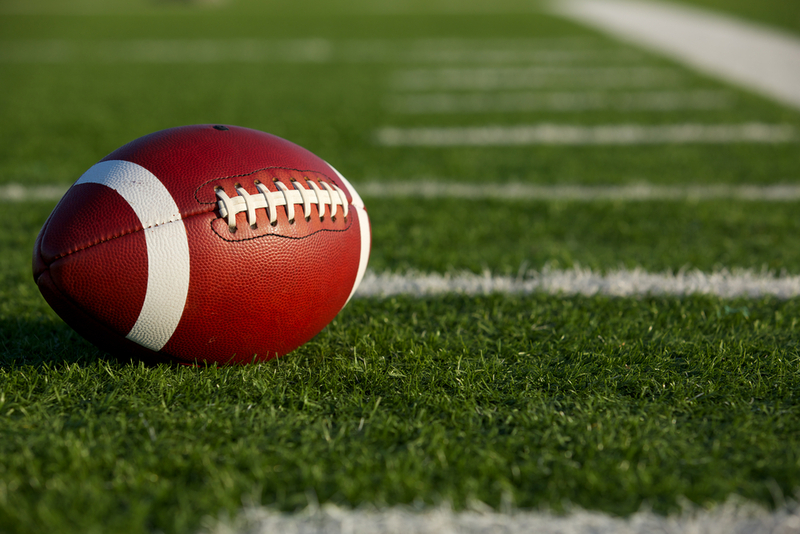 Half of high school football players say that even if they sustained an injury that puts them at a risk of having a concussion, they would still remain on the field. A little less than half of the students surveyed in a new study also said that they wouldn't report concussion symptoms to their coach. This was in spite of the fact that the majority of the players had knowledge about the serious risk injuries from playing football from a concussion. "We aren't yet at the point where we can make specific policy recommendations for sports teams, but this study raises concerns that young athletes may not report symptoms of concussions," lead author Dr. Brit Anderson, an emergency medicine fellow at Cincinnati Children's, said in a press release. "Other approaches, such as an increased use of sideline screening by coaches or athletic trainers, might be needed to identify injured athletes." One hundred twenty high school football players were surveyed for the new report. Thirty of them admitted they had suffered a concussion. Eighty-two said they had been educated on the dangers of concussions, and the majority recognized the symptoms, which include headaches, dizziness, difficulty with memory, difficulty concentrating, and sensitivity to light. More than 90 percent said they knew the risks if they returned to the game after a serious injury that caused concussion-symptoms. However, 53 percent of those surveyed said they would "always or sometimes continue to play with a headache sustained from an injury." Only 54 percent said that they would "always or sometimes report symptoms of a concussion to their coach." The study was presented on May 6 at the Pediatric Academic Societies annual meeting in Washington, D.C. and the research is considered preliminary since it's yet to be published in a journal. There are about 3.8 million recreation and sports-related concussions each year, according to the study authors. About 8.9 percent of all high school athletic injuries are concussions. A concussion is a brain injury that results in a short loss of normal brain function. Recently, repeated head trauma like concussions have been linked to chronic traumatic encephalopathy (CTE), a degenerative brain disease. CTE can cause Alzheimer's-like symptoms including memory loss, major depression, impulse control issues and changes in behavior. Unfortunately, CTE can only be diagnosed after the subject in question has passed away. The disease has been diagnosed after the deaths of professional and youth athletes. Due to concerns that concussions can have on a developing brains, the American Academy of Neurology updated its guidelines in March 2013. Instead on grading a patient on how severe their concussion is and allowing athletes to return to the game if it is deemed their head injury is not as serious, the researchers now advise: "if in doubt, sit it out." New concussion guidelines released for athletes: "If in doubt, sit it out"
Youth sports concussion clinics are also springing up around the country, and now exist in 35 states. These specialized centers focus on young athletes who are suffering from headaches, amnesia, dizziness or concentration issues that may stem from an injury. But, doctors admitted to the New York Times, that concussions and the damage they may cause are still not well-researched subjects. Dr. Barbara Semakula, a sports medicine doctor who works at the youth sports concussion clinic at Massachusetts General Hospital, said sometimes parents are unnecessarily worrying about simple injuries that may not be that serious. "Parents call saying, 'I saw a scary report about concussions on Oprah or on the 'Doctors' show or Katie Couric's show,'" she said. "Their child just hurt his head, and they've already leapt to the worst possible scenarios. It's a little bit of a frenzy out there." Other doctors fear that concussion hysteria may fuel other health issues. "Too often these days, I see moms and dads who are so worried about a kid's concussion or so worried about a second concussion that they discourage their kid from playing their sports," Dr. William Meehan, co-founder of the sports concussion clinic at Boston Children's Hospital, said to the New York Times. "That's the worst thing they can do. A concussion is a problem and a serious one, but at the same time, obesity and sedentary lifestyles are having a much greater impact on society. The worst thing we could do is make kids less active."